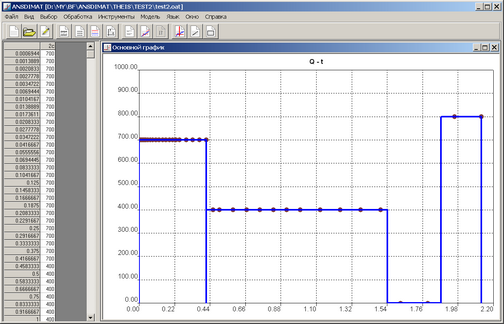 Simultaneously with the straight line a supplemental "Straight line parameters" window is displayed on the screen, where C is angular coefficient, Ay is straight line intercept on the ordinate axis and, Ax is straight line intercept on the abscissa axis. This option is not meant for aquifer parameters estimation. straight line segment search window.